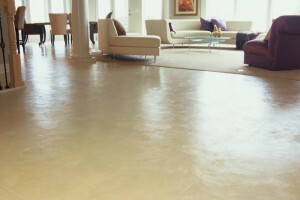 Our love affair with concrete flooring has been steadily growing for year. And not just for outdoor spaces. Long been regarded as the flooring of choice for trendy shops and restaurants, concrete is now underfoot at homes and offices everywhere. Affordability … In comparison to other types of flooring, decorative concrete can be very cost-effective. For the same price as standard carpet or vinyl, you can choose from a wide range of options. And the ongoing maintenance costs are miniscule since concrete floors require minimal upkeep. Maintenance … Concrete floors require little more than a broom and a soapy mop. The frequency is entirely up to you and the amount of traffic the floors receive. 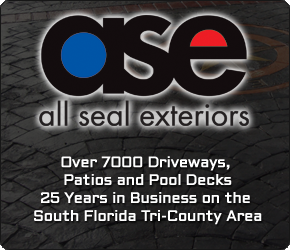 Durability … A concrete floor that is aesthetically maintained and occasionally polished will outlast the homeowner. And many people have learned to appreciate and feature floors with a bit of age and cracks. Versatility … Whether you’re looking for flooring to complement a “man cave” or an open and airy living room, concrete floors offer a variety of textures, techniques, stains, colors and dyes unlike any other material. With all the benefits, it’s no wonder developers and homeowners are selecting concrete floors for indoor living!